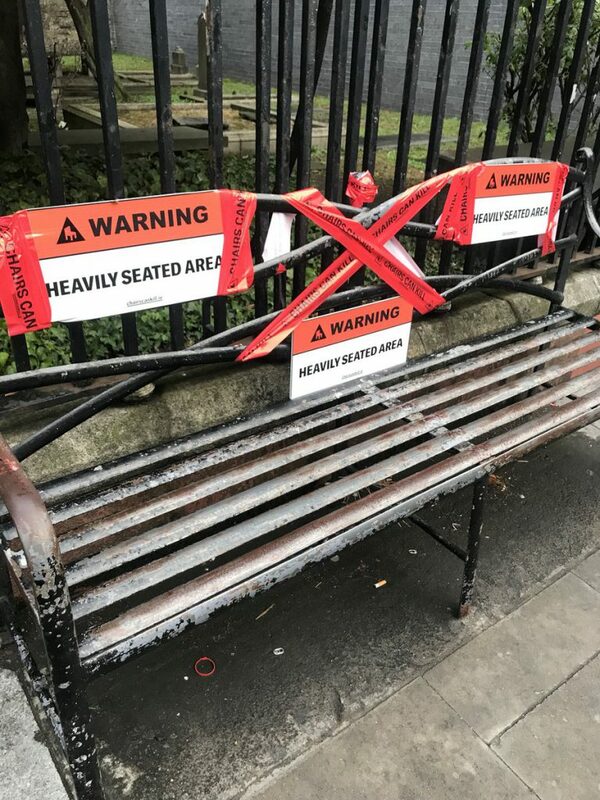 Chairs wrapped in warning tape have appeared across Dublin. They are part of a campaign from the Irish Heart Foundation warning citizens that chairs can kill. The campaign sets out to raise awareness that sitting down for long periods of time dramatically increases your risk of heart disease and stroke by 147%. Figures released recently from Irish Heart Foundation show that on an average weekday, Irish people will spend more than seven hours sitting down. A website chairscankill.ie features a simple online sitting calculator allowing you to measure how long you spend sitting down on an average day. 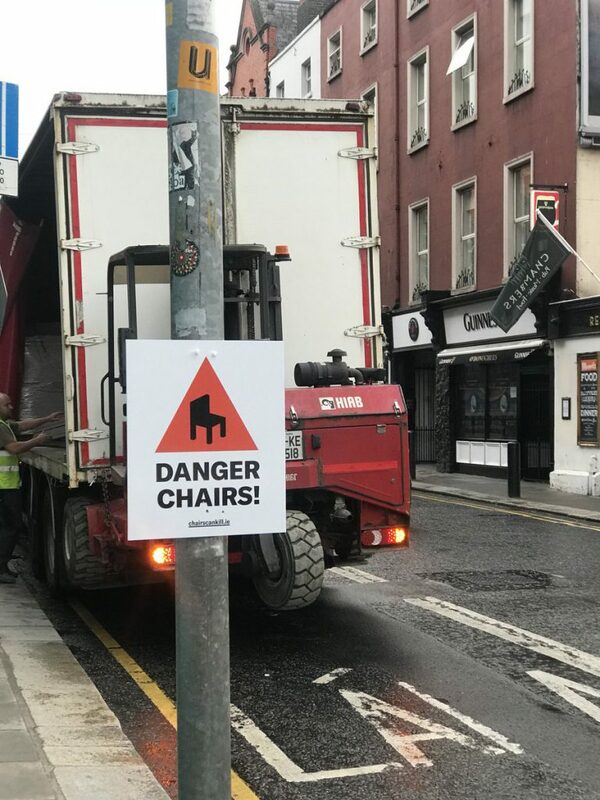 The chairs and signs have been spotted all over Dublin city – and the campaign extended to public transport. Janis Morrissey, Head of Health Promotion, Information & Training, at the Irish Heart Foundation, said: “Most people don’t realise the negative effect that sitting for long periods of time can have on their heart health. For instance, those who sit for long periods of time are more than twice as likely to develop heart disease and stroke. Ultimately we wanted to create a campaign that would mean people would never look at a chair or seat the same way again.